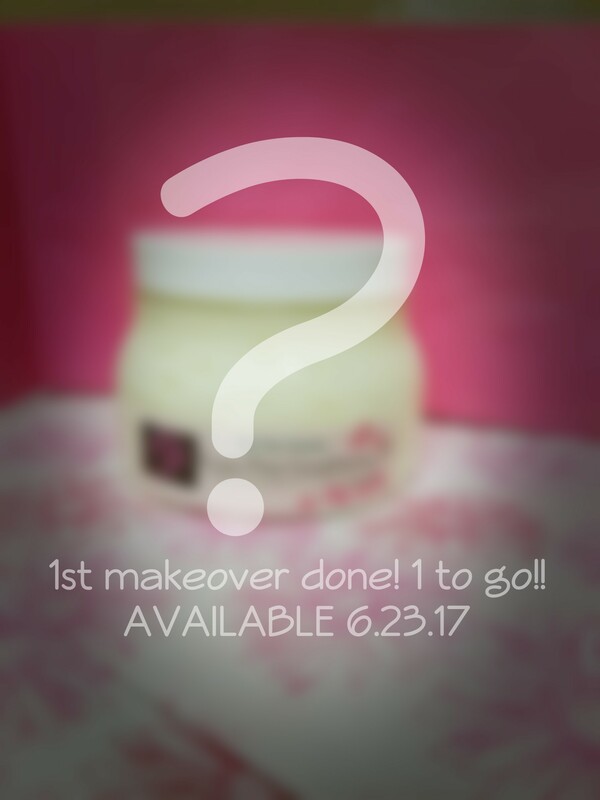 Hair Garden Nursery’s 1st Giveaway! Hey loves! Watch the video below for details! Contest only open to participants in the US. Thank you! Author AphropuphsPosted on February 22, 2019 February 22, 2019 Format VideoCategories Featuring The Hair Garden!, Hair Care, Natural ProductsTags conyers natural hair, conyers natural hair stylist, Hair Garden, hair growth, kids afro hair, locs, natural hair, natural hair care, natural hair products, product giveaway, small business, the hair garden1 Comment on Hair Garden Nursery’s 1st Giveaway! Greetings, all! 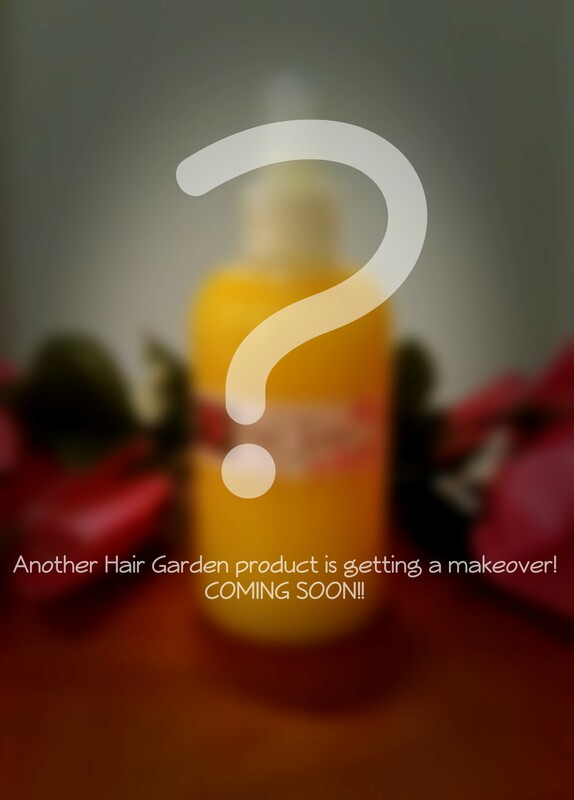 A few months back, I told you a that I had a product makeover happening for 3 of Hair Garden’s products. Well, the items have been tested by myself and you all and has been approved! The first 2 items that I was most excited about are the cleansers! My soothing mint and mango punch cleansers are now whipped! I was having trouble with the consistency and viscosity of the product and wasn’t satisfied with the results although the product worked well for me. My new formula is more of a cream/paste texture as opposed to the former liquid. Also, the Hair Juice formula is pretty much the same, I just increased the oil content and added mango butter to enhance softness. I had some customers bring a few things to my attention and I tweaked it! I also offer an alternative to the citrus scent. I now offer bamboo. It is a clean scent similar to the Avocado Shea moisturizer but not as sweet. 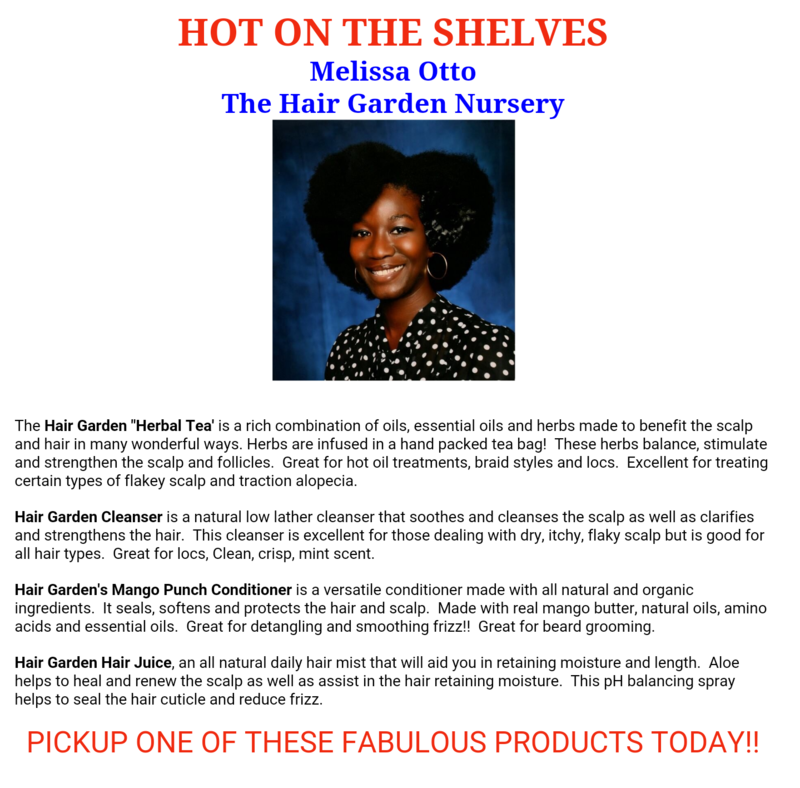 I am happy with the new changes and additions to The Hair Garden Nursery’s product lineup and I will continue to add more! I offer sample sets that include a cleanser, conditioner, herbal oil, moisturizer and mist for $9. These items can be purchased at my Etsy shop! Click here to visit The Hair Garden Nursery! Sales will be offered for the holiday season. Hello, my loves!!! If you follow me on Etsy, Instagram, Twitter or Facebook, you’ve probably already seen that I am improving some existing products and introducing a new item to the line up! It took a little while to find the right ingredients because I wanted to stay as close to quality and natural ingredients as possible. I’m excited to let you all know that I have completed my personal test runs and am ready to get these new items out to you all! Only 2 oz sizes will be available for the first couple of weeks and then 8 and 16 oz. There will be some awesome sales going on as I finish off my old inventory to make place for the new items. I will be posting promo codes and having special sale listings! I can’t wait to introduce these new items to you all! Thanks for all your support! Hello, my lovely people! Oh, how I have missed you all! I have been on a hiatus but am now back to work! I filmed my 1st commercial ad specifically for Paris Hair and Beauty Supplies, the beauty supply store that carries my products! I was pretty proud of the outcome so I wanted to share it with you all! I introduce 2 of my new products as well- Mango Punch Cleanser and Euca-Mint Conditioner! I will be making another one soon because I have some other hair treats I am working on! I hope you liked it! I will be updating again pretty soon! Author AphropuphsPosted on February 11, 2017 Categories Featuring The Hair Garden!, Natural ProductsTags affordable products for natural hair, afro hair care, black hair care, hair garden products, natural hair, natural hair care, natural hair products, the hair gardenLeave a comment on Hair Garden’s 1st Commercial! Hair Garden Products at Paris Beauty Supply! Huge Greetings to all my lovely blossoms!! I know, I know!! I have been on a long hiatus! My last post was nearly 6 months ago when I left for Ghana! I have had a lot going on since I’ve returned that I will be catching you up on! Here is the first bit of exciting news I have to share with you all! 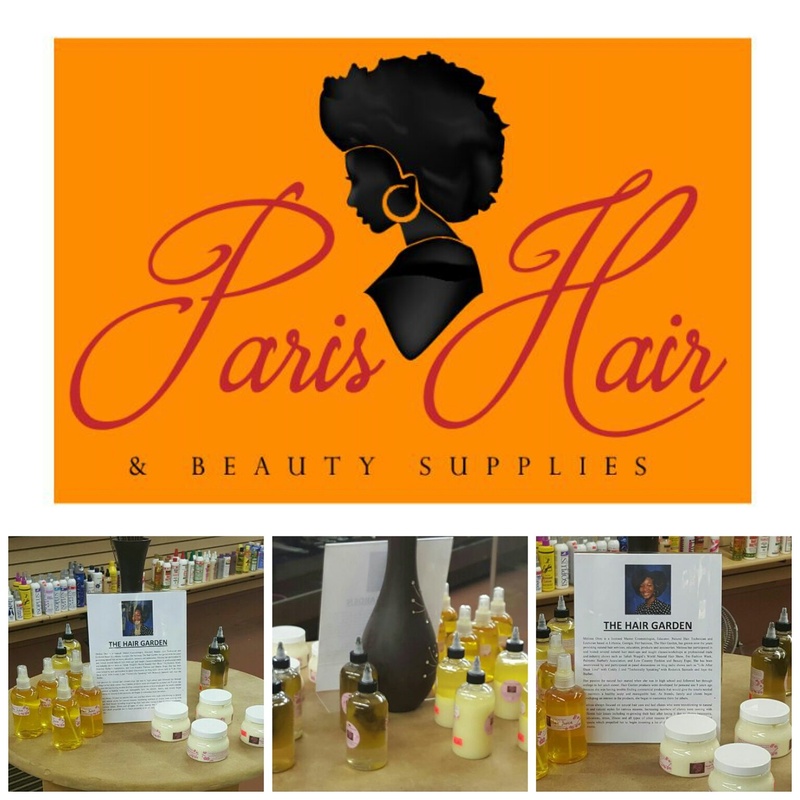 Hair Garden’s products are now being carried at Paris Hair and Beauty Supplies store in Trenton, New Jersey! From the shelves of my salon, to the pages of Etsy and now on to the shelves of an actual beauty supply store! So far, they are carrying Hair Garden’s Soothing Mint Cleanser, Mango Punch Conditioner, Herbal Tea Tree-tment Oil and Hair Juice and the response has been great so far! My feature in their newsletter! This has been an amazing and exciting venture for me! What I love most about this store is their focus on exposure for budding small businesses! They feature many other products for the hair and body made by other dedicated entrepreneurs like me! If you’re ever in the area, you should go check them out and show your support! Their address is 1566 Edgewood Avenue, Trenton, New Jersey 08618. Author AphropuphsPosted on July 24, 2016 Categories Featuring The Hair Garden!, Natural ProductsTags afro hair products, black owned beauty supply, buy natural hair products, curly hair products, hair garden products, natural hair, natural hair beauty supply, natural hair conditioner, natural hair products, new jersey natural hair, small black business, the hair gardenLeave a comment on Hair Garden Products at Paris Beauty Supply! 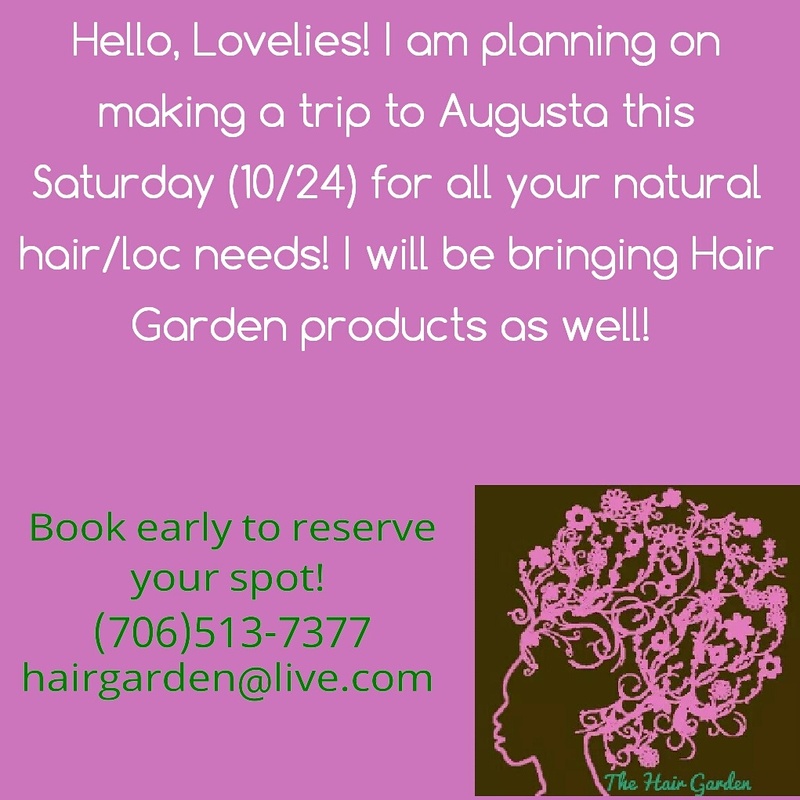 Author AphropuphsPosted on October 19, 2015 Categories Hair Care, Loc Care, Natural Hairstyles, Natural ProductsTags afro hair care augusta ga, atlanta natural hair care, atlanta natural hairstylist, augusta ga loctician, augusta ga natural hair, augusta ga natural hair stylist, natural hair, traveling natural stylistLeave a comment on Coming to Augusta!!! Hair Garden’s Herbal Hair Teas!! Greetings, Blossoms! I want to introduce you to the latest addition to my Etsy shop! 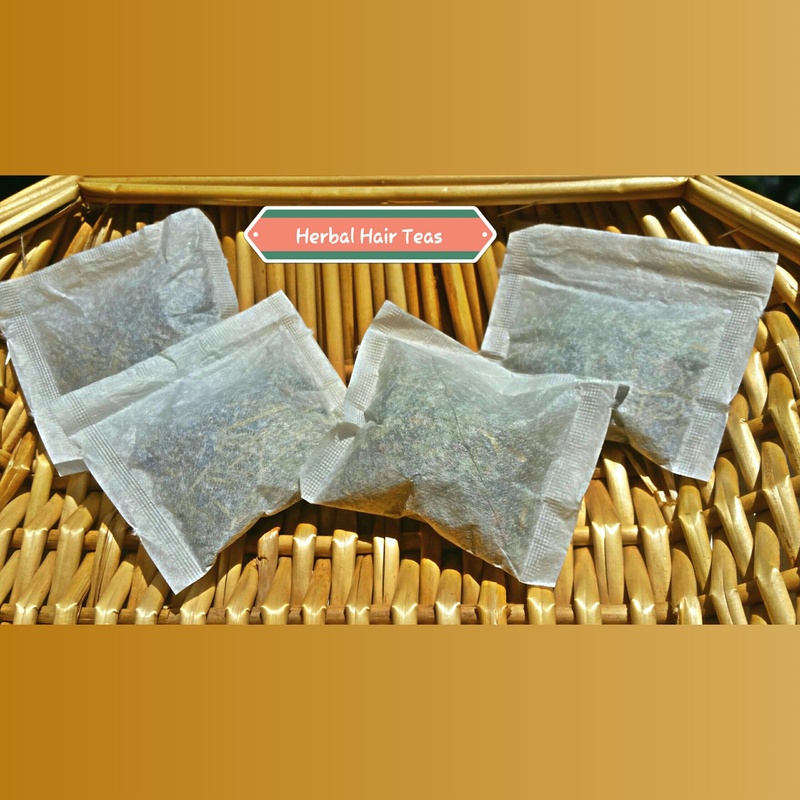 I have put together some Herbal Hair Teas for your personal at home use. WARNING!! These teas are not for consumption! They are only for use on the hair and scalp! I usually hand-stuff the tea bags with the intention of suspending them in my oils but I want to give you all the flexibility to do other things with it as well! I also came up with some different herbal blends for specific needs! The tea bags come in Master blend, Growth blend, Strengthening blend, and Dandruff blend. The Master blend is a combination of the 3 later blends. Herbs and other natural ingredients such as peppermint, eucalyptus, rosemary, silica, lavender, and lecithin are used, to name a few. It is the same blend used in the Hair Garden “Herbal Tea” Tree-tment. These herbs can be suspended in your own blend of oils. You can even brew it in warm water and make your own hair tea rinse at home. You can even brew it in water and make your own herbal treatment spray! Open the tea bags and add the oils to your favorite deep conditioner to enhance its effects! Go to http://www.hairgardenllc.etsy.com to try yours today! Author AphropuphsPosted on August 21, 2015 Categories Hair Care, Natural Products, UncategorizedTags hair garden products, hair tea, hair tea bags, herbal hair teas, herbs for dandruff, herbs for hair growth, herbs to strengthen hair, natural hair, natural hair products, natural hair remedy, the hair gardenLeave a comment on Hair Garden’s Herbal Hair Teas! !